Harriet Harman is to lead a team of female Labour MPs on a mission to convince women in 70 constituencies to vote for the party in May's General Election. However, the initiative was criticised as soon as it was unveiled yesterday, mainly for the choice of pink as the colour for the 16-seat minibus the group will be using. Harman, deputy leader of the party, said the ‘Woman to Woman’ campaign intends to ask women what they want from a Labour government and would focus on key issues such as childcare, family care, equal pay and domestic violence. Harman said: "We believe that this election will be a watershed for women in this country," and claims 9.1 million women did not vote in the 2010 election. She continued: "Women had been making progress in their lives with the backing of the last Labour Government. But now, with this Tory-led government that progress is stalling and the clock is being turned back on equality. "We want women to feel that this is their democracy and politics is for them as well as for men. Politics is too important to be left to be a men-only activity. We are saying this is a woman-to-woman activity." But greater attention than Labour would wish for is being paid to the colour of the vehicle, with Harman having to defend it at yesterday’s media briefing against the charge it was patronising to women. According to The Guardian, Harman said: "We could have had red but that would look like all the other Labour vehicles, and we wanted to mark that this was something different. "Then we looked at a darker red but it looked like a Pret-a-Manger van. We wanted to it to look conspicuous and therefore a white van wasn’t going to do the job." Gloria del Piero, Labour’s women and equalities spokeswoman, claimed the vehicle was the same colour used for the backdrop in the party’s 2014 autumn conference in Manchester. The Tories have predictably criticised the colour choice. 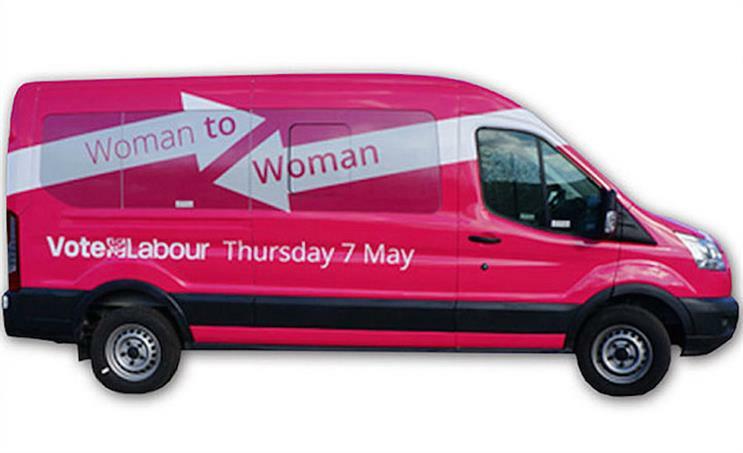 Gosport MP Caroline Dinenage said that "getting Harriet Harman to drive around the country in a pink van to try and attract the female vote is as patronising as it gets". On Twitter the van has been compared to a Barbie toy and the car in the ads for car insurance brand Sheila’s Wheels. A live internet poll by the Guardian currently shows 80 per cent of 3,422 respondents believe the bus is patronising compared to 20 per cent who think it isn’t.